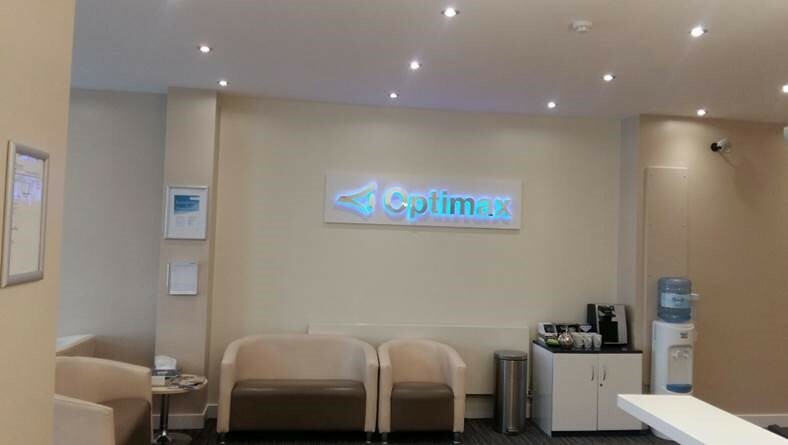 We were tasked with providing the Optimax clinic in Leicester with a more modern image and bringing the site more in line with Optimax’s corporate branding. 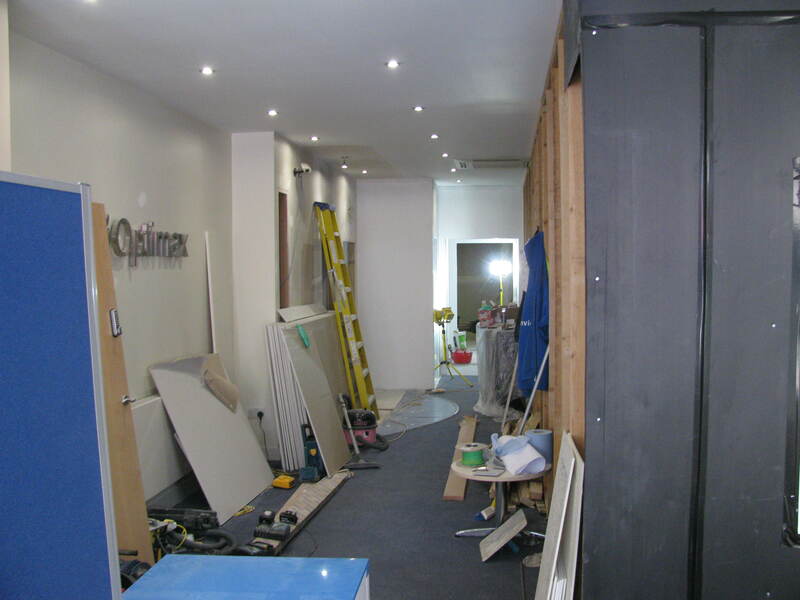 We carried out a full refurbishment from floor coverings and lighting to window displays in order to achieve this goal. 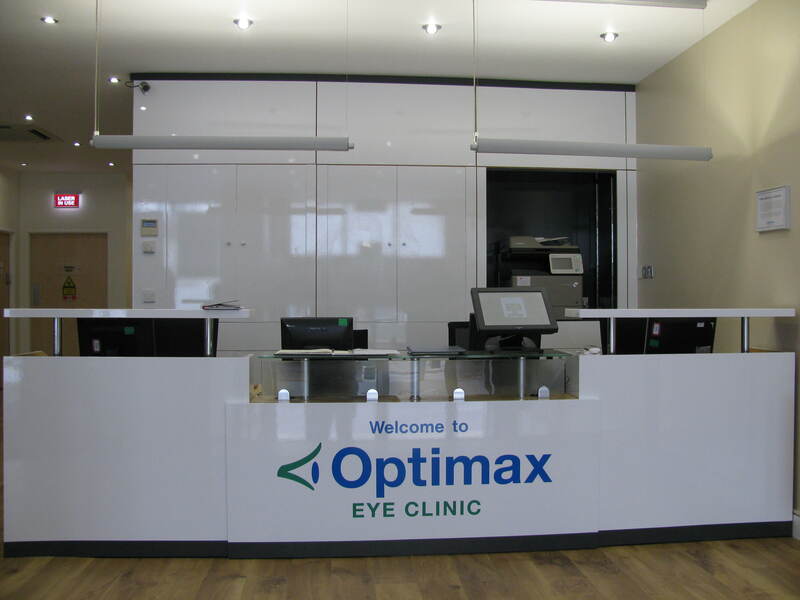 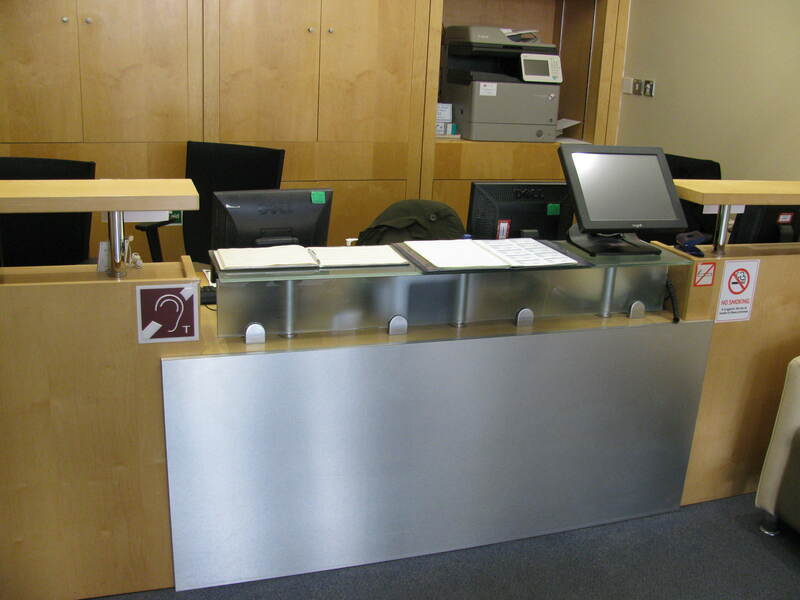 Our last job at this Optimax clinic in 2005 saw us installing a reception desk and storage wall which by now was in need of refreshing but that the client found was still meeting their requirements. 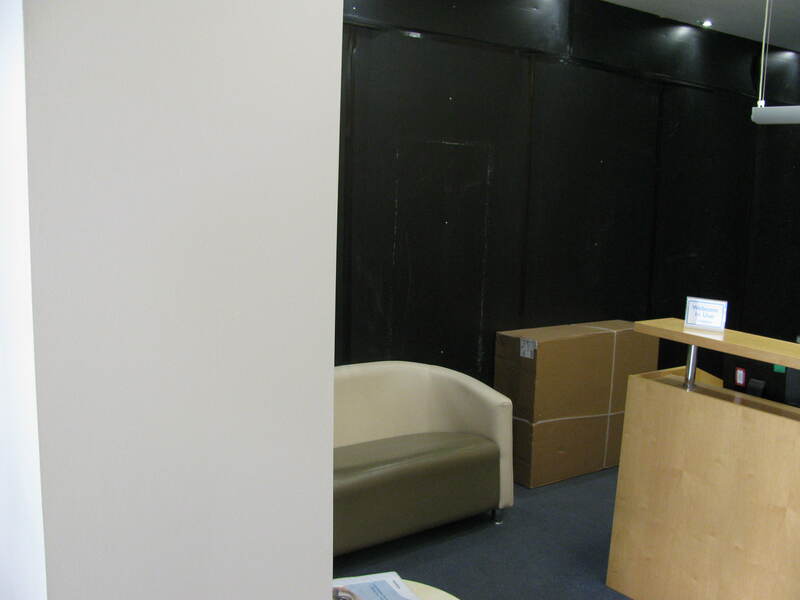 We managed to update the existing furniture and save our client a substantial amount of money by wrapping the desk and storage wall in white Di-Noc, making it look brand new! 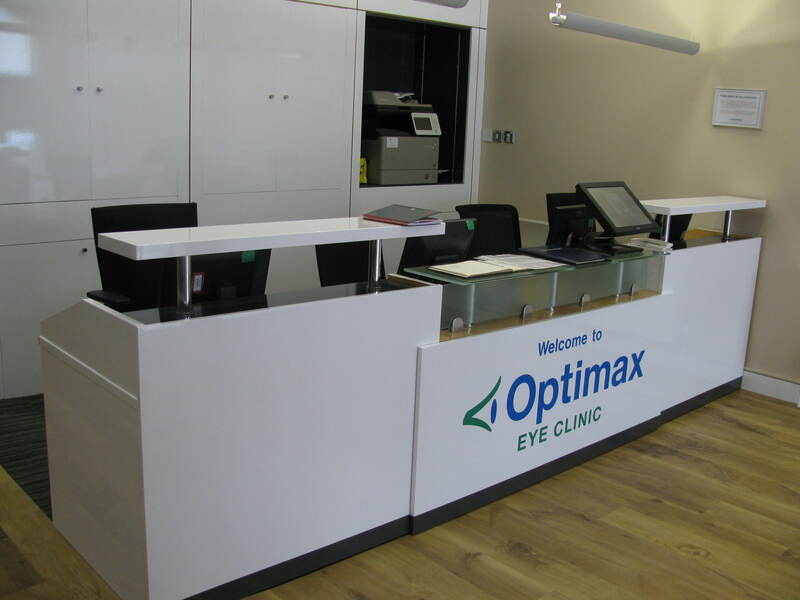 We also added the Optimax Logo to the front of the desk to match the branding of the business. 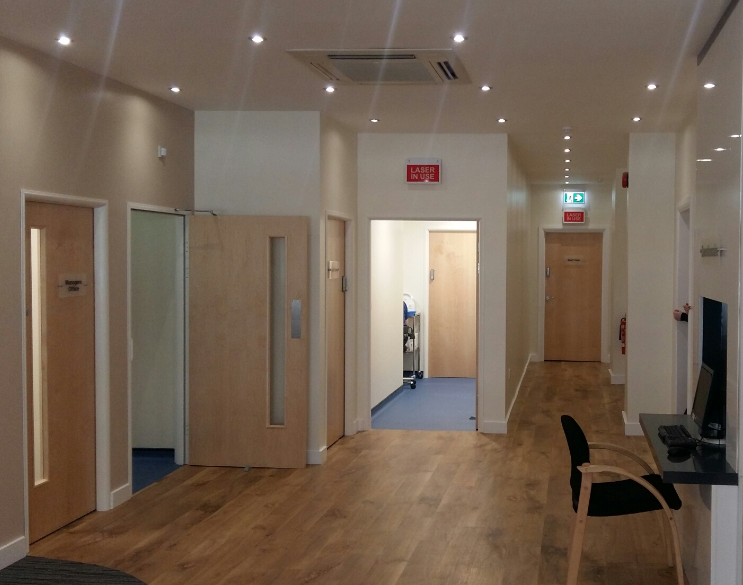 We also redesigned and updated the laser theater, making it into a full operating theater with the installation of a new air handling system. 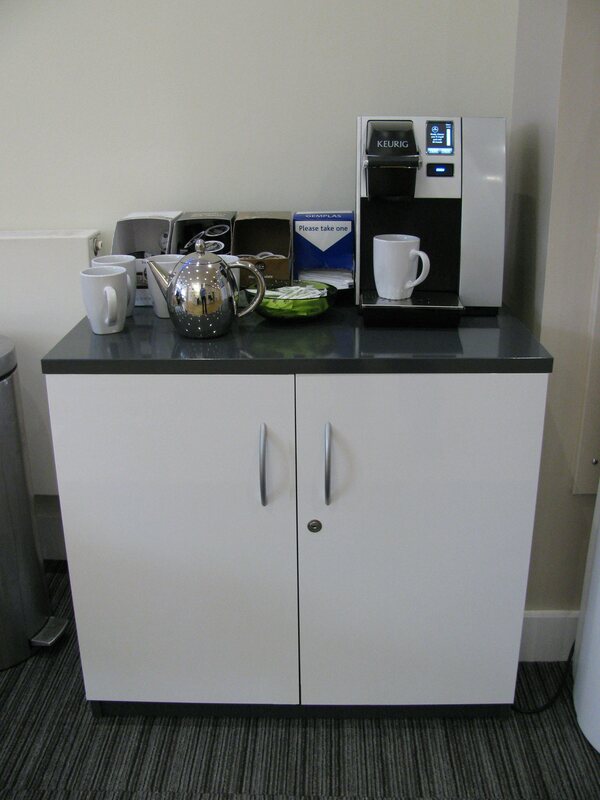 The ancillary rooms also benefited from fresh decor and carpets. 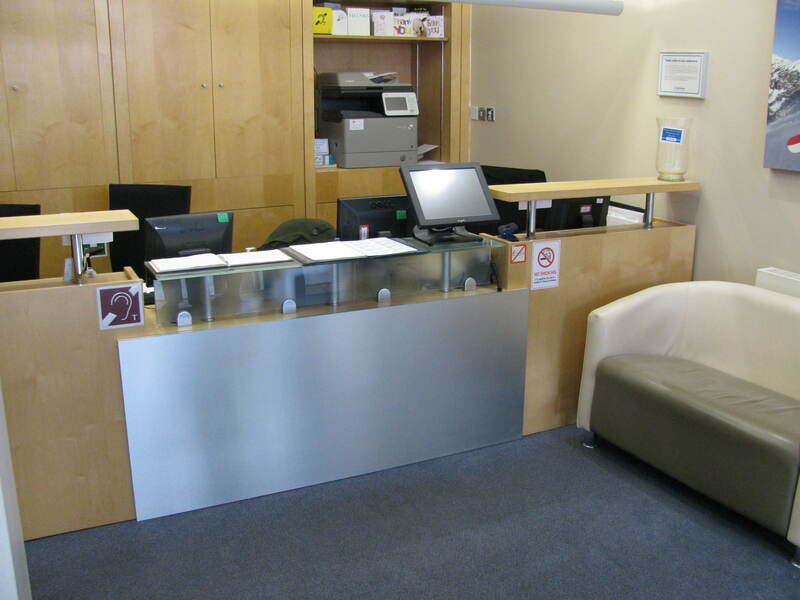 All of these tasks were completed to health care standards. 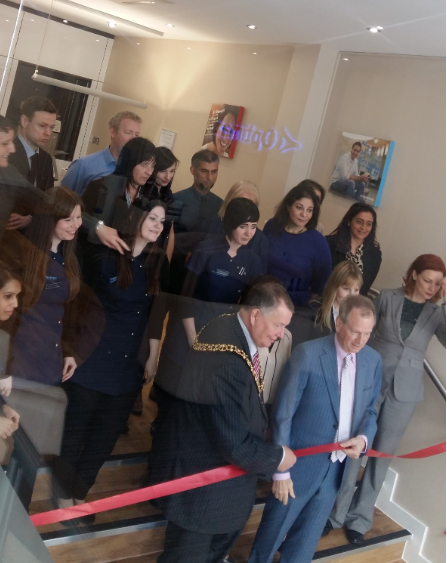 After the completion of the refurbishment, the clinic was visited by the Mayor for the grand re-opening who was very complimentary of the new look and feel of the Leicester clinic. 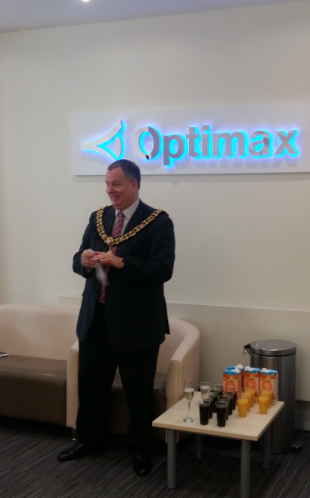 We also received high praise from the Managing Director of Optimax who said it was the best clinic they’ve ever had, on time and under budget.